Saying there is a best full-size, compact and sub-compact 9mm is like saying there’s the best pizza. There are so many fine guns available to shooters today the choices are mind-boggling. Before you start stabbing away at your keyboard because we didn’t pick your favorite 9mm pistol…relax. Take a deep breath. Now, listen: this isn’t the end-all, be-all definition of the only good or best in every possible way, or perfect 9mm handguns. These are the top 9mm for general purposes, a wide-reaching, and accessible definition. In other words, if you could only have one and needed it to do almost anything decently – these are my top picks. Choosing the right gun for you is a personal choice and not one that is entirely simple. The most important though is how the gun fits your hands. 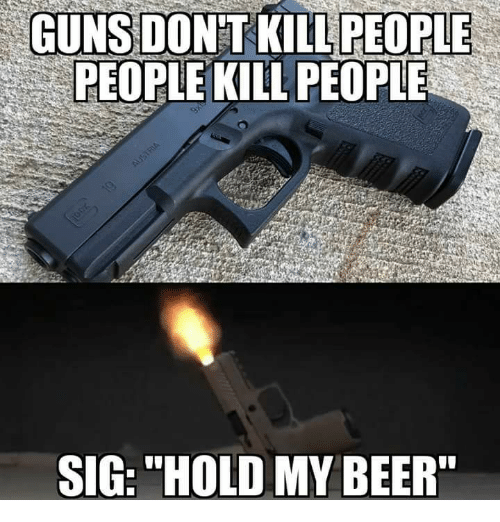 If you’re not comfortable holding it, there is no way you’ll shoot well. Everything else, like striker-fired Vs. exposed hammer, DA/SA or double action, frame material, single or double stack magazine, all of those are really only something you can answer as to what you like best. They all have their pros and cons, but going into each and every option is an exhausting and often immaterial process. It becomes quickly apparent that no one gun is right for every shooter and no matter what a gun writer says is best, someone will likely disagree for some reason. Best is a very subjective term. 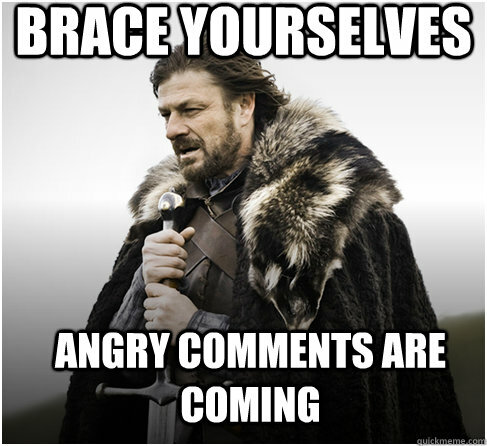 So here we go…hang on tight when the comments start rolling in. There is no doubt that Glock is one of the top handgun builders on the planet. Since the roll-out of the first Glock 17 in 1982 over 5 million Glocks have been produced. Even though the Glock was originally put down as a “plastic gun”. It was, and likely still is, the leader in the polymer-framed pistol world. The Austrian military was the first to select the Glock as their sidearm of choice after the 1982 trials. Since then nearly 50 countries have had Glocks of all shapes and sizes as their favored sidearm for police and military forces. The Glock 17 was named after the 17th patent Glock secured. It also uses 17-round magazines. The 17 is still the most widely used pistol worldwide by law enforcement agencies. 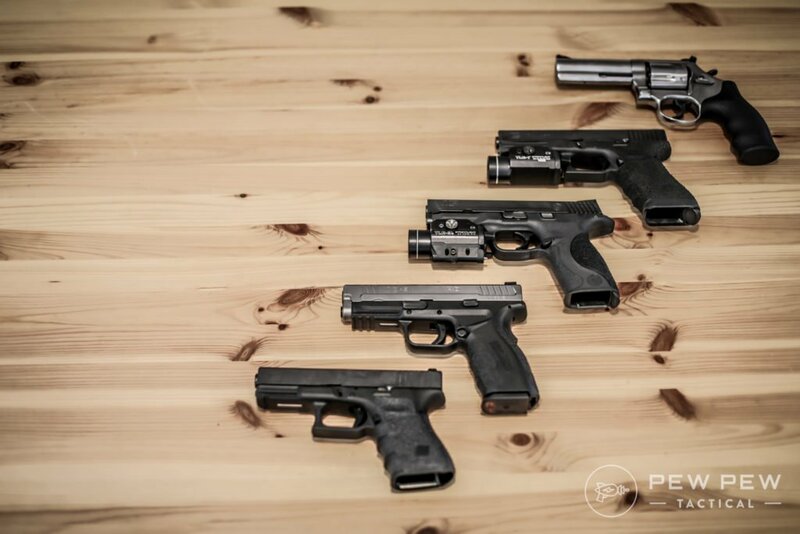 Today, there are 5 generations of Glock 17’s to choose from. All variations stem from the original but may have slightly different grip designs, sights, flared magazine wells and such. But for a go anywhere, do anything handgun the Glock 17 will do anything you ask of it and keep coming back for more. In 1990 Chuck Taylor wrote the first of what would become four articles on his Glock 17 100,000-round torture test. By 1995 he had run 100,000 rounds through his Glock and drew from the holster over 100,000. In all that time there were only two malfunctions. No springs or internal parts were replaced. Accuracy remained the same from the first rounds fired. This alone should be proof that the average shooter will not wear out a Glock over a lifetime of carrying, competing or shooting recreationally. First, the previously mentioned durability. When we spend our hard-earned money on a gun we want a gun that shoots no matter what and that we can trust if called on to protect ourselves or our loved ones. Second, the Glock polymer frame is nearly indestructible. No rust, no scratches, no dings. You don’t have to baby a Glock. 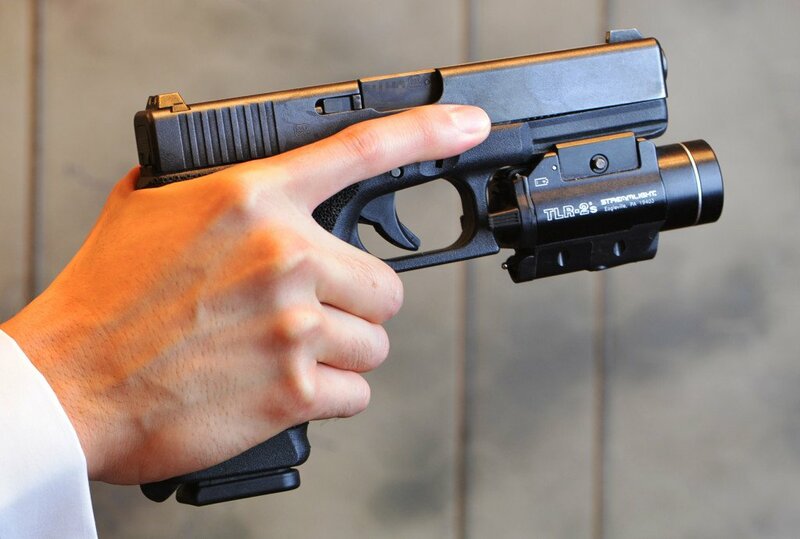 Third, there are only 34 component parts in a Glock pistol. That means fewer pieces to wear out, fewer pieces to break and allows for simple service. Additionally, Glock components within a specific model are interchangeable pistol to pistol. That means if you have a breakdown you can rob a part from another Glock and get your gun back into service fast. Fourth, there are lots of aftermarket parts for the Glock 17. You can upgrade the trigger, change the sights, drop in a new barrel or upgrade the whole slide and more! What’s your take on the G17? In January 2014 Sig rolled out the new Sig P320 polymer framed pistol. 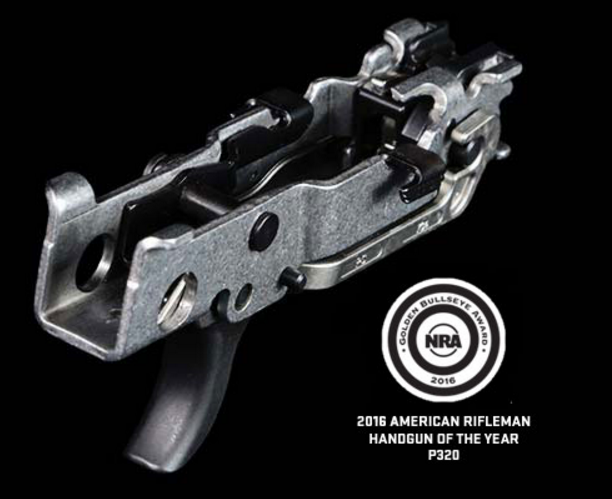 Three years later the announcement came that the P320 had won the XM17 Modular Handgun System competition and stepped into a new role for our military. The key feature of the Sig P320 is its modular design. The fire control unit is the part with the serial number and the part the ATF is most concerned with when it comes to the purchase of the firearm. This stainless part is interchangeable with all grip size configurations and calibers including 9mm, 40 S&W, and .357 Sig. Once you own the fire control unit you can literally put together any combination of grip size, slide length and caliber you want. It’s kind of like Legos for big kids. To ensure you find a gun that fits your hand you can choose from four chassis sizes and three grip sizes. The caliber exchange kits consist of the barrel, slide, recoil assembly, and magazine. With the modularity of the P320 system, your favorite compact 9mm could also become your favorite sub-compact 9mm, but we’ll discuss that later. Shortly after Sig won the military competition, they issued a “voluntary upgrade program” (that’s corporate lawyer for “recall” but to be fair, the upgrades did make a better gun) of the Sig p320. The short version of what happened is that under some fairly rare situations, a P320 had the chance to discharge when dropped. The internet is not a place for the thin-skinned. Since even a small chance of that happening with a modern firearm is generally deemed unacceptable, Sig tweaked the design a bit and fixed the problem. Assuming you’re buying your P320 new, you shouldn’t have to worry about this. Sig stopped production while they fixed the issue and all new production guns have had the upgrades done from the start. The added upside to the “upgrades” is that by changing the design slightly, they made a better gun. Not only safer but improved the trigger pull as well. First, the modularity of the system. The ease with which you can change calibers, frames and grip sizes gives you a lot of options. For those in states where buying handguns is a less than enjoyable experience this gives you some choices without filling out a bunch of paperwork and playing waiting games. Second, it’s a Sig! Sigs are known for reliability, accuracy, and is easy to shoot. The P320 is no different. This is a great gun for carrying, informal shooting and plinking, and personal defense. Third, the polymer frame and stainless fire control group and slide make this a pistol ready for anything you or Mother Nature can dish out. The P320 also comes with metal magazines. Most of today’s polymer guns come with polymer magazines. The Sig mags load easily and slip out of the gun when empty smoothly. Still not sure? Check out our Complete Sig P320 Review! I’ll confess, I like Springfield Armory XD Pistols. I think there are at least 3 in the safe right now. There is something about the grip design that just feels better in my hand than Glocks. Remember, the best gun for you is different than the best gun for me. It’s all subjective. The Springfield Armory XD-S 3.3” Single Stack 9mm makes the cut for my list as the best sub-compact 9mm. Back in 2012, the XD-S line launched with the introduction of a sub-compact 45 ACP. It quickly became obvious that there was a niche for this type of concealed carry gun and Springfield followed up the 45 ACP with models in 9mm and 40 S&W. Today’s 9mm single stack offering is big on features, including the ability to carry it daily and literally forget you have a gun on your belt. Like our other two 9mm’s, the XD-S is a polymer framed gun with a steel slide. One of the features I really like about the XD pistols is the grip safety. It gives a little extra margin of safety for concealed carry with a Condition-One gun. The pistol also comes with two grip backstraps so you can tailor the fit for your hand. You will also find two stainless steel magazines with the gun; a flush-fitting 7-round magazine and an 8-round Mid-Mag X-Tension™ magazine. First, it is a very controllable and comfortable gun when shooting. Yet, it is easy to carry and conceal and every day. Second, the gun comes with two magazines, two grip backstraps and a great 3-dot sight system with a fiber optic front and white dot rears. You also have the added peace of mind of the grip safety. Third, a durable polymer frame and steel slide with a Melonite finish mean this gun is ready for any carry and use conditions you can dish out. The fit and finish on these guns are excellent as well. This brief look at some of the best 9mm handguns available is meant to give you a place to start in your search for your perfect handgun. Spend some time at the range with some rental guns and find the gun that fits your hand perfectly, points naturally and is easy for you to operate. One thing you will notice is all of these guns are polymer, striker-fired systems. We have come a long way since Glock rolled out the first ‘plastic gun’. Gone are the days of having only revolvers and blued steel semi-autos to choose from. The newest generation of polymer guns are durable, accurate, customizable, come in all sizes and they are fun to shoot. This might be the opening of Pandora’s Box but, what are your top picks? Let us know in the comments! Or if you want to know the Best Handguns for Beginners (including revolvers). Randy Bauman was lead instructor for seven years at the Boy Scouts of America National Camping School-Shooting Sports Section, and he has a lifetime interest in teaching others about firearms. His primary passion is big-game hunting, mainly DIY backpack hunting deep in the wilderness. That passion for hunting led him to become a Life Member of Safari Club International and he currently serves as President of the Central Washington Chapter of SCI. You surely missed the boat for leaving out the CZ line of firearms and in particular the CZ Po9 and CZSpo7 models for absolute accuracy and a quality all around absolutely dependable work horse of a daily carry and home defense product loved more then Glock products but are all to often overlooked. 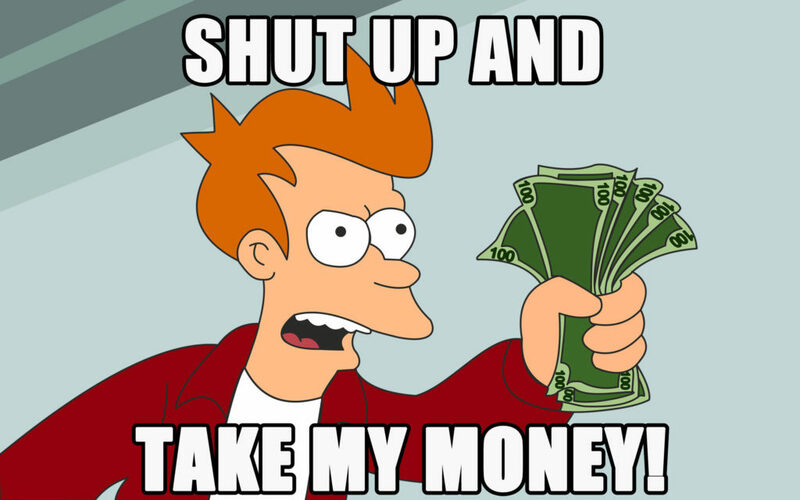 The Glock is way overpriced for what you get. Lousy sights to me the sight picture is terrible and come on Glock, for what you charge you should have switched to iron sights years ago. Plus your triggers are absolutely inexcusable. Though the Generation 5 is better, it is still lousy. Especially when other manufacturers are producing just as reliable pistols with iron sights and far better trigger systems at a lower price. After what Springfield Armory did I will never have one ever again. Especially considering there are so many excellent firearm choices on the market. Nice discussion – thank you. As for me, I own several in each category that you listed. However, my favorites are: Steyr L9-A1, Sphinx SDP and Sig P365. Cheers! 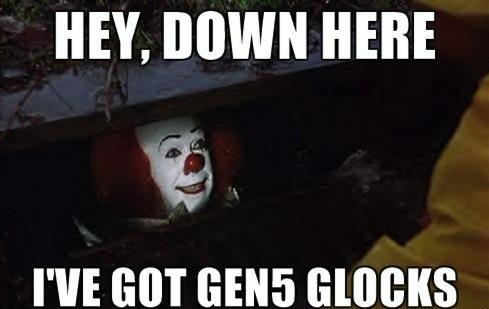 Ya never cared for glocks . Don’t like the look or feel. Have a p89 that I like . SW MP, then just recently bought a Sig 226 which now I wish I would have bought one sooner. Never shot a glock so cant make my judgement. Friends like theirs .for me have to like the way it looks /feels as part of my purchasing decision.